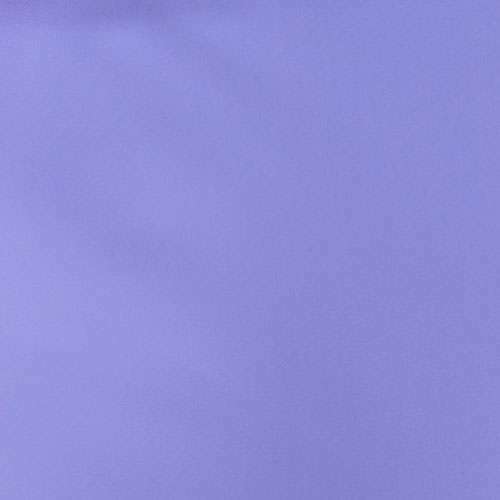 A lightweight, durable supplex that looks and feels like cotton in a lilac color. It has all the comfort of cotton and the durability and performance of modern fiber technology! If you feel you have a need for a medical hardship discount, please Request Your Discount Here. 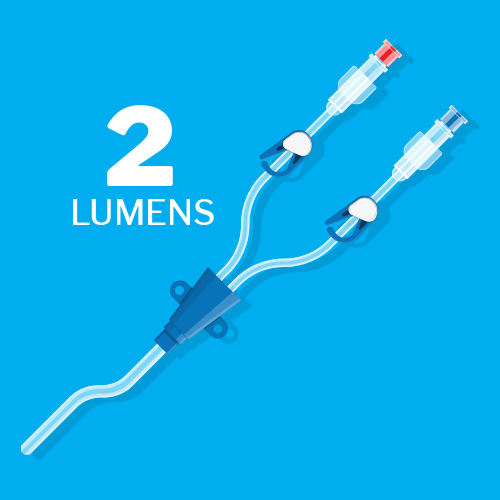 How Many Lumens Does Your Central Line Have? Measure around the chest wherever the exit site is. This is where the wrap will be worn. 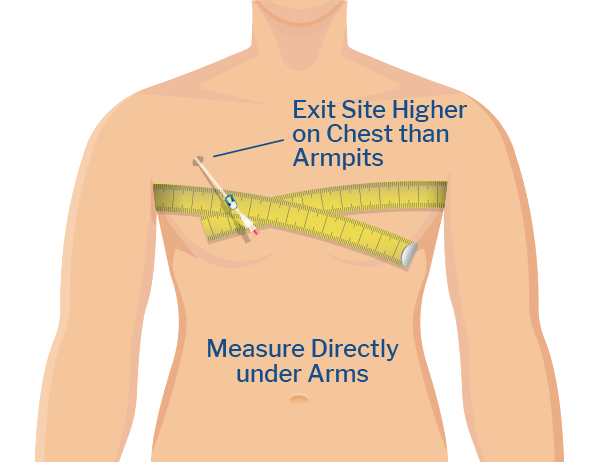 If the exit site is higher on the chest than the armpits, take your measurement directly under the arms. 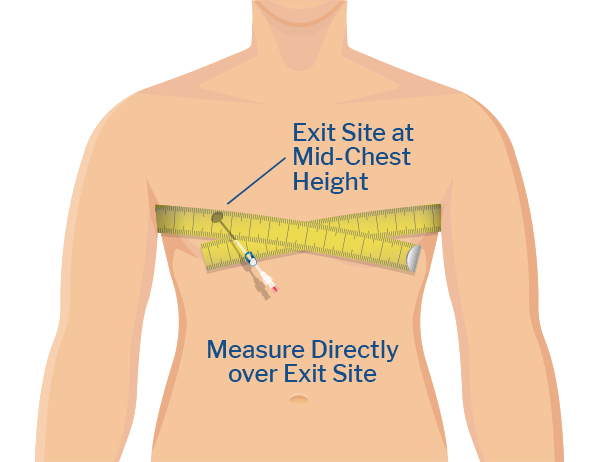 If the exit site is at mid-chest height, take the measurement directly over the exit site. 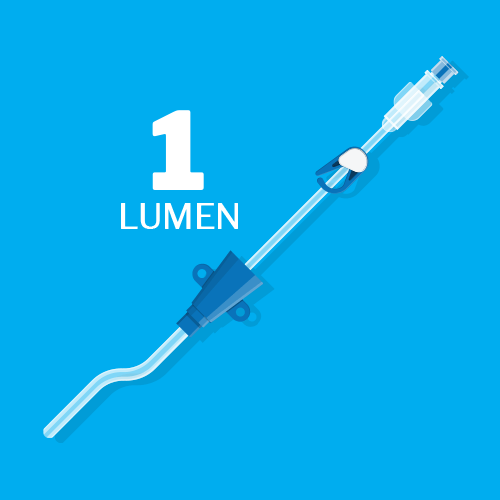 If the exit site is lower on the chest, take the measurement directly over the exit site. 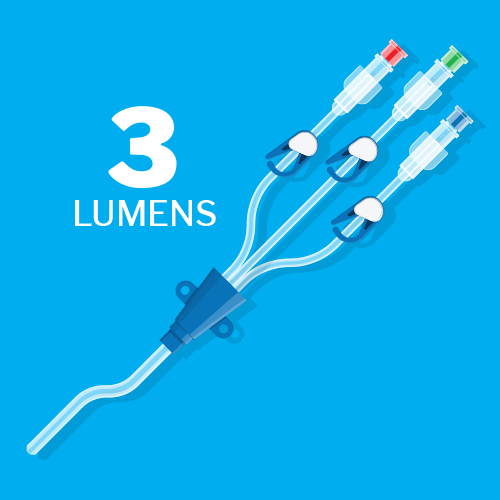 CLICK HERE to download this information as a one-sheet guide.